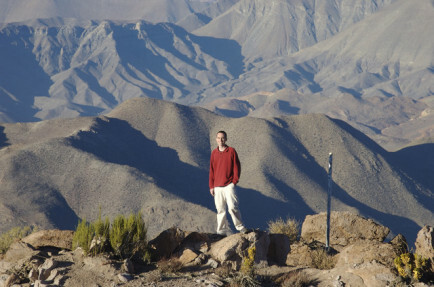 A moment away from work at Cerro Tololo, Chile, in August 2006. I’m an electrical engineer. But, my work is in remote sensing of atmospheric and space physics phenomena—aeronomy—the naming and measurement of atmospheres. I use sensitive imaging systems, HF and VHF radars, and satellites to advance our understanding of irregularities in the ionosphere that disrupt mission-critical communication (UHF-SATCOM), navigation (GPS/GNSS), and time-transfer systems (GPS). In practice, this means that I do everything from building optical and RF instruments to writing low-level software to analyzing and presenting data (80% of my time) to taking interesting trips to collect data on-site. I’m an EE short-order cook. I also have considerable experience with RF and microwave electronics and material characterization, which is a problem well-related to aeronomy.